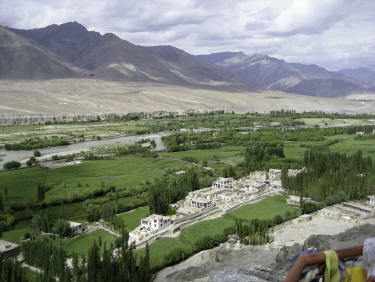 Our early morning flight from Delhi to the Ladakh region in northwest India is somewhat reminiscent of our Bhutan entry. 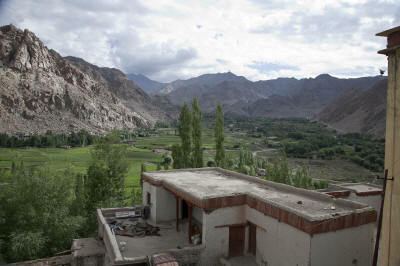 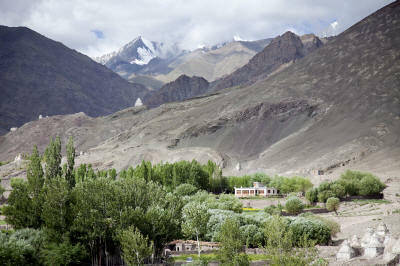 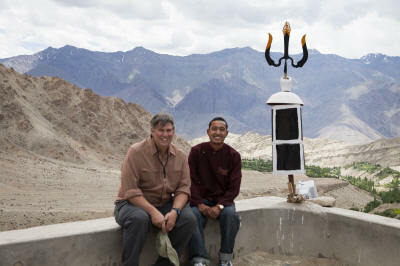 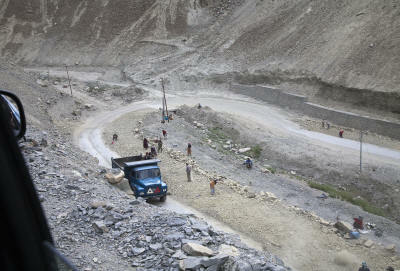 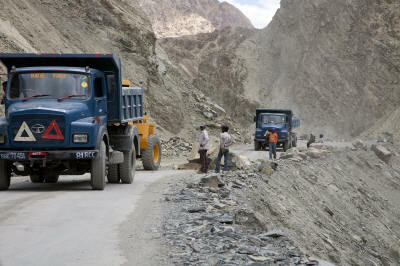 Mountains - Himalayan, Karakoram, Zanskar and Ladakh peaks surround Leh, the capital city of the region. 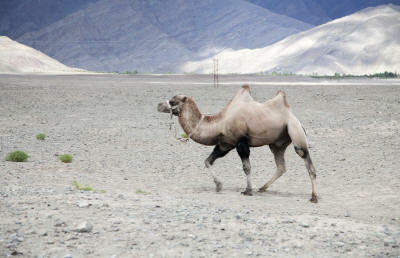 Our descent winds down on to a vast flat desert floor on which a hugh runway traces across the valley. 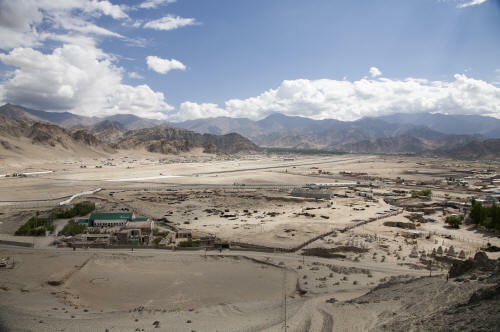 The airport and the the adjoining lands are heavily influenced by the military. 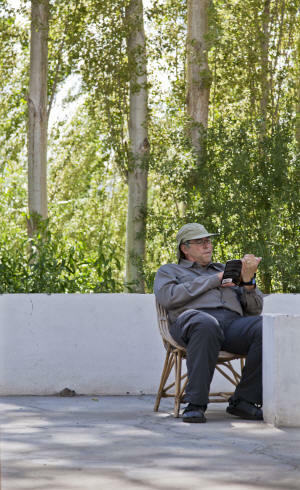 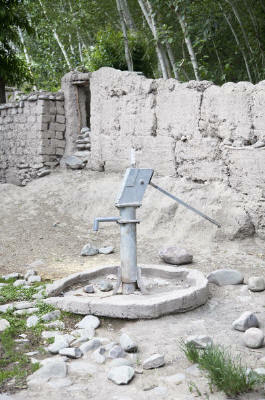 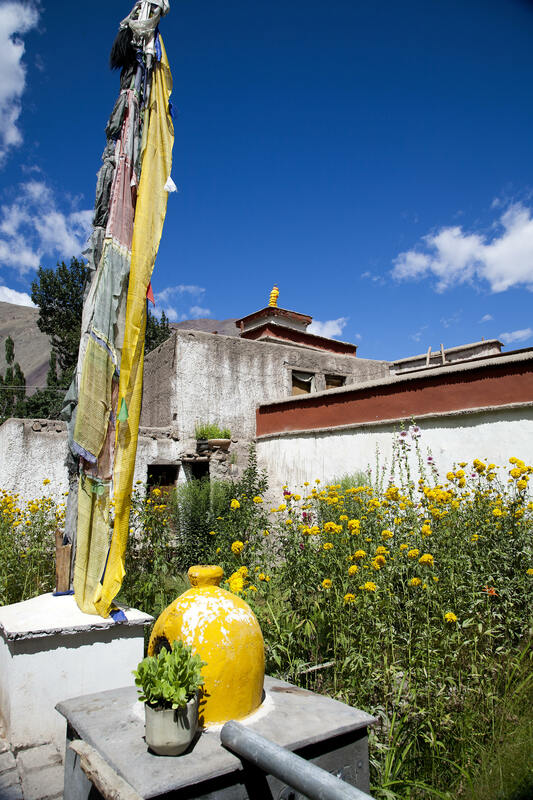 Our objective upon arrival was to spend several days acclimating to the higher altitude, 11,500 ft, so that we would be able to trek in the near-by mountains later in the week. 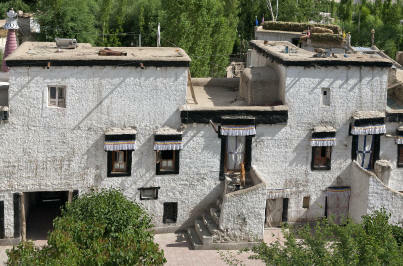 Our resting place was the Hotel Lharisa. 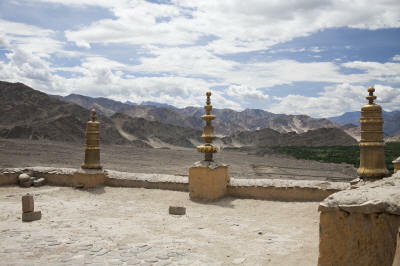 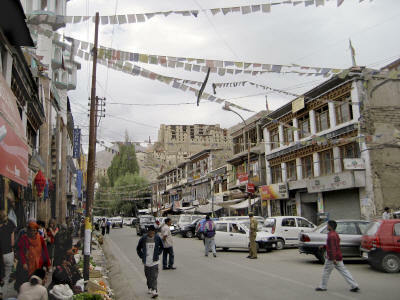 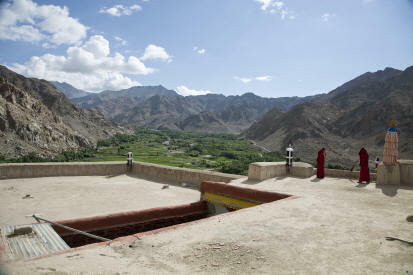 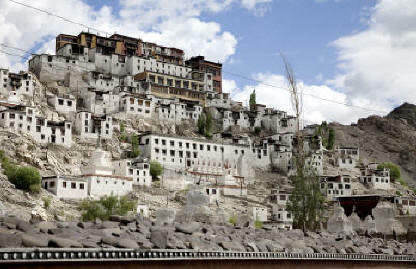 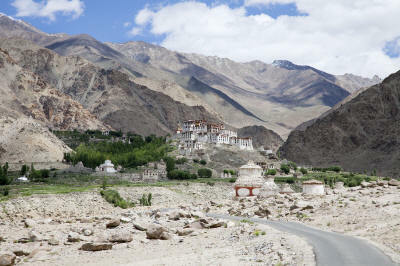 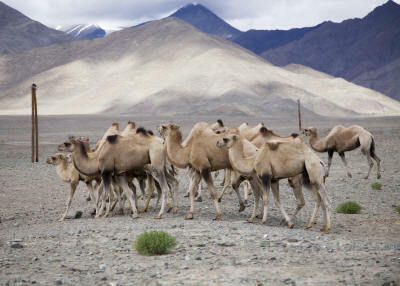 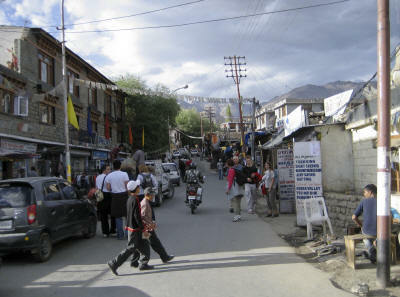 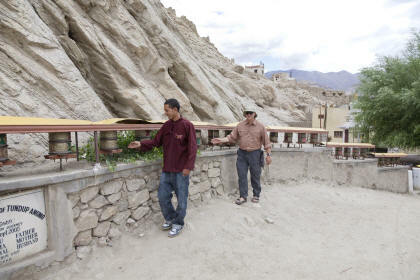 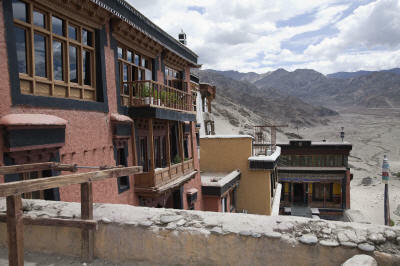 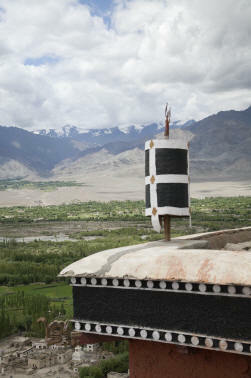 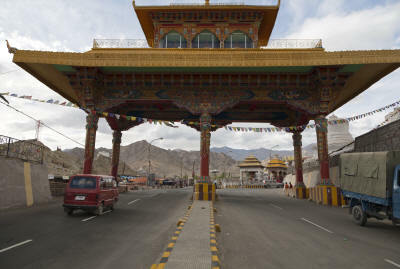 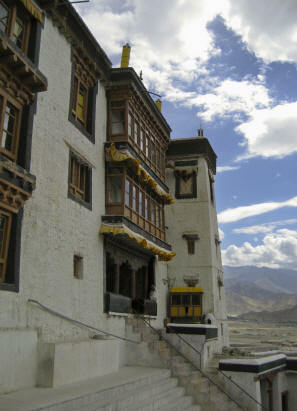 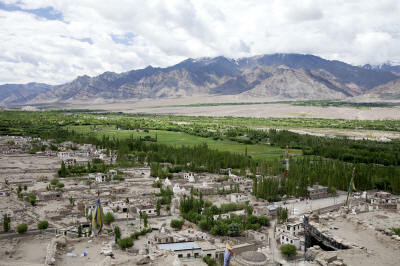 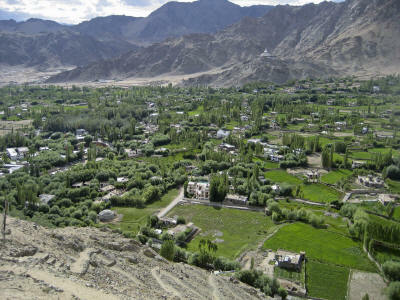 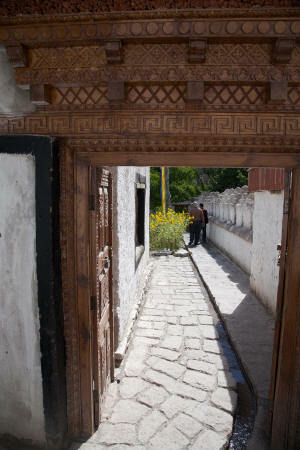 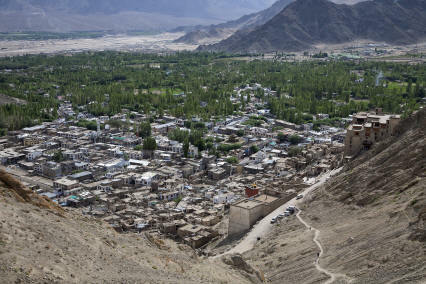 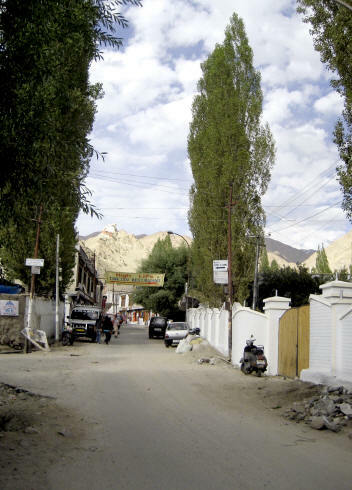 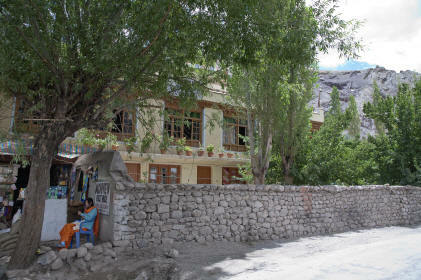 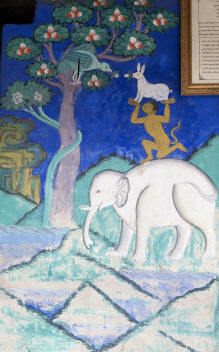 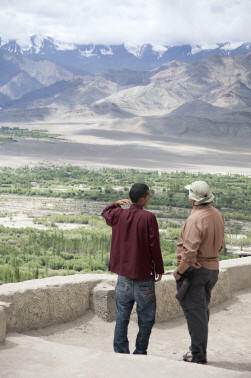 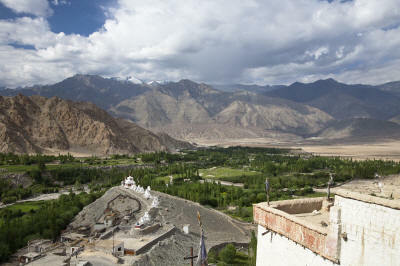 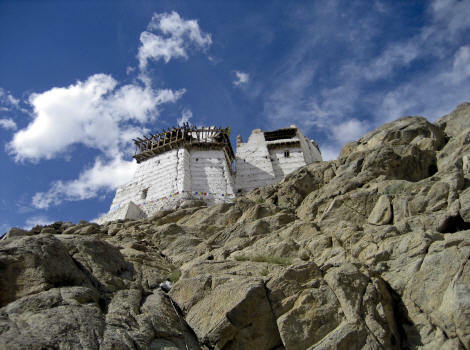 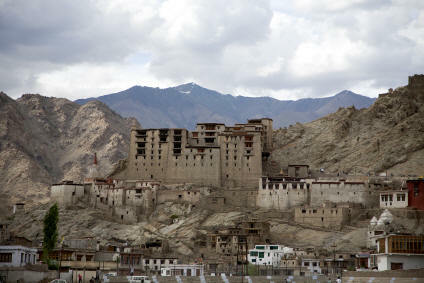 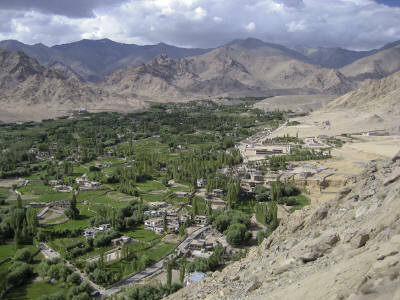 Gateway to the city, Leh is the home of the Leh Palace perched on the hillside overlooking the town. 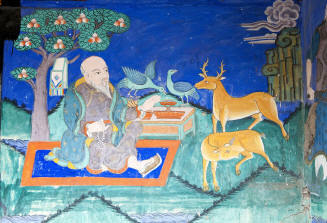 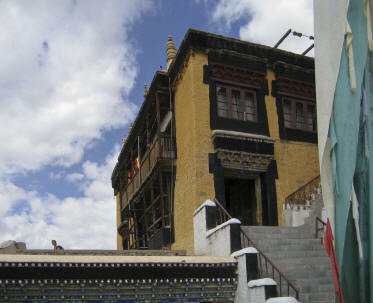 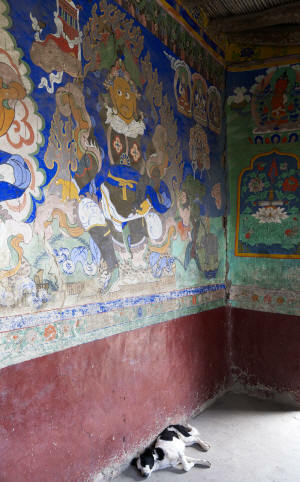 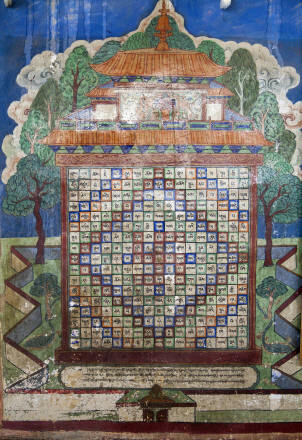 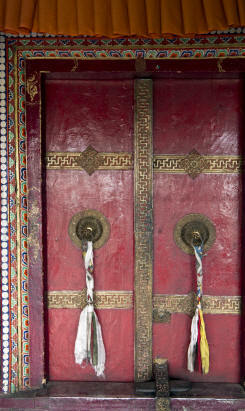 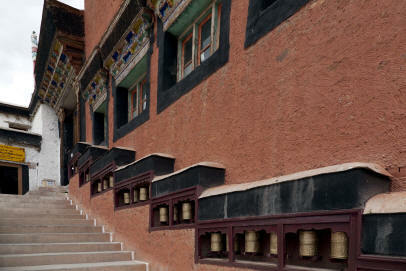 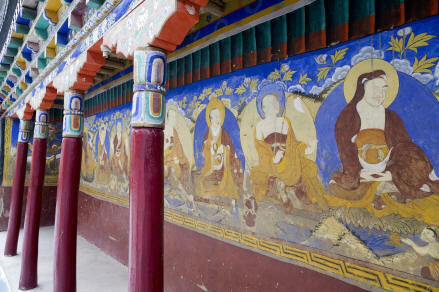 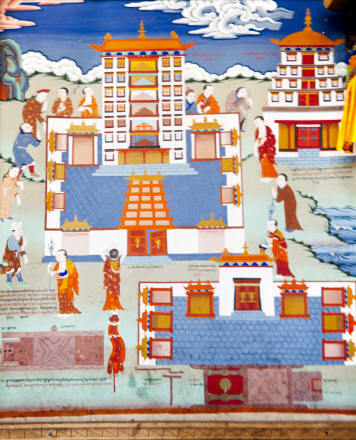 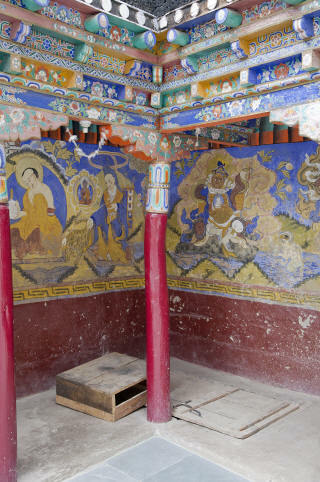 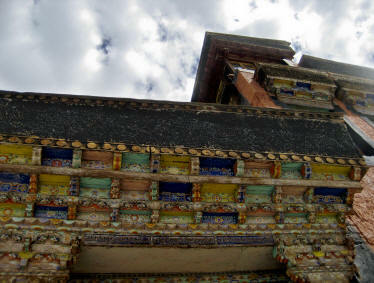 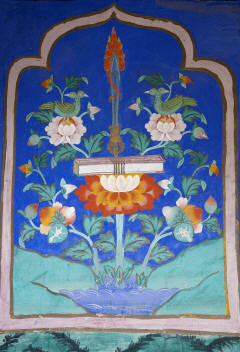 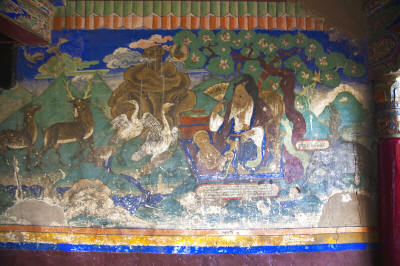 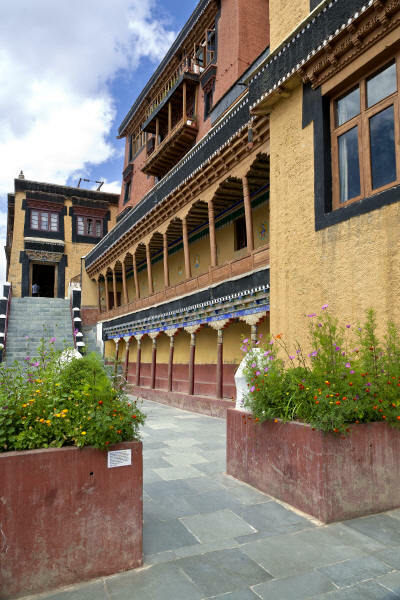 It resembles the Potala Palace in Lhasa and was build around the same time in the 16th Century. 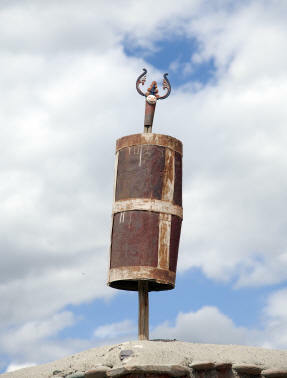 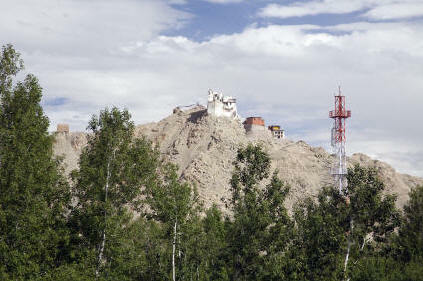 Above it is the Tsemo Fort viewed from the polo field in town. 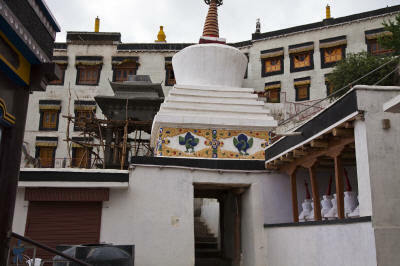 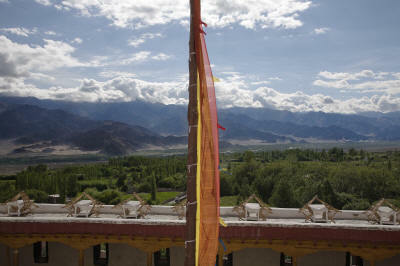 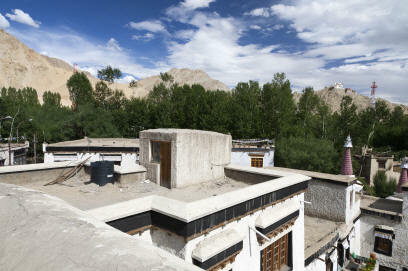 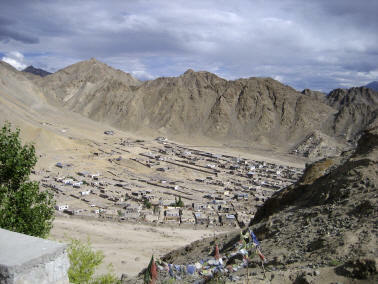 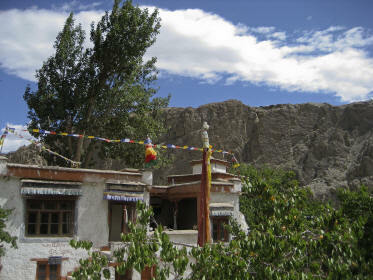 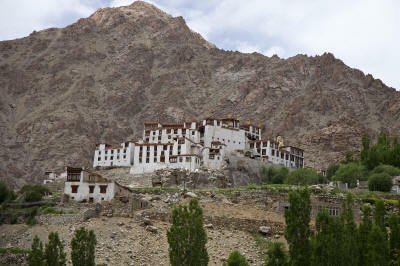 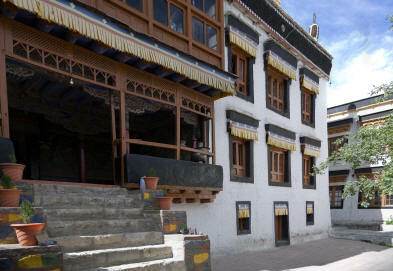 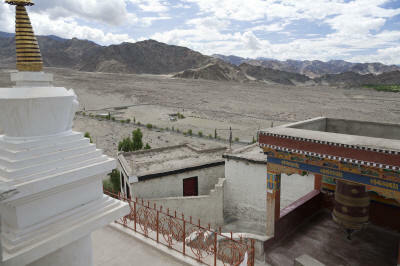 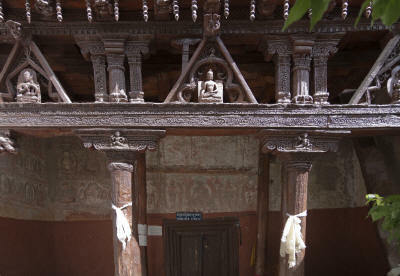 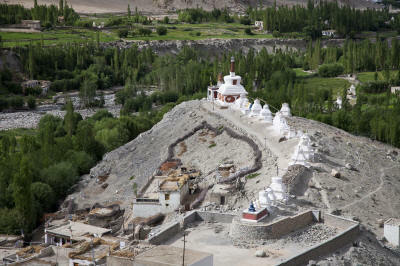 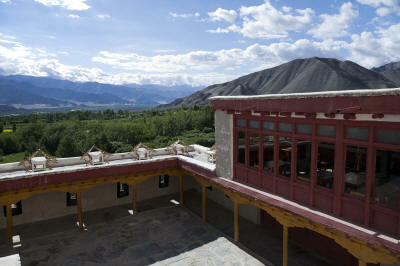 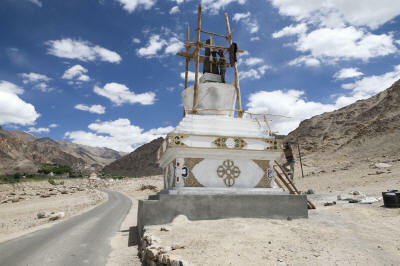 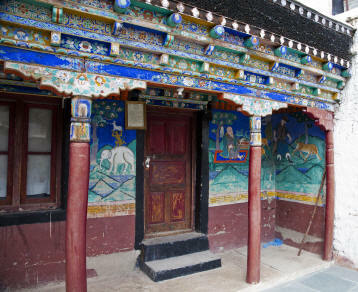 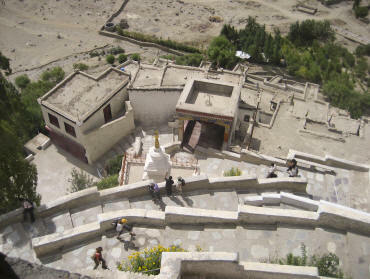 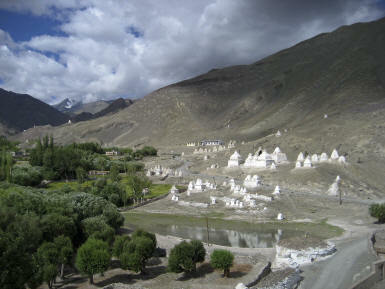 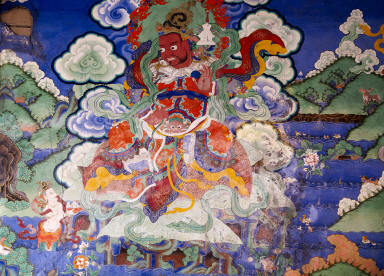 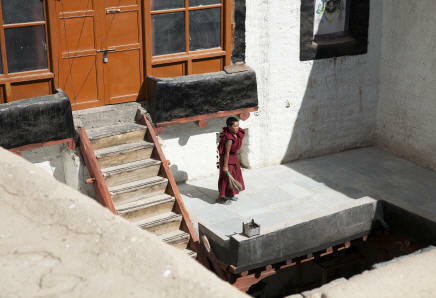 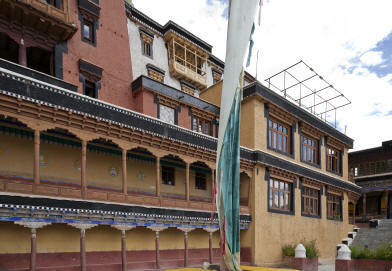 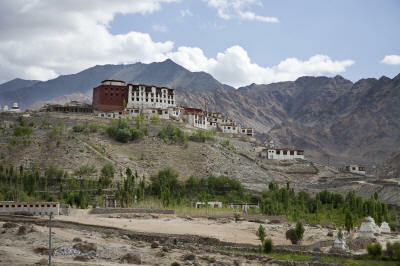 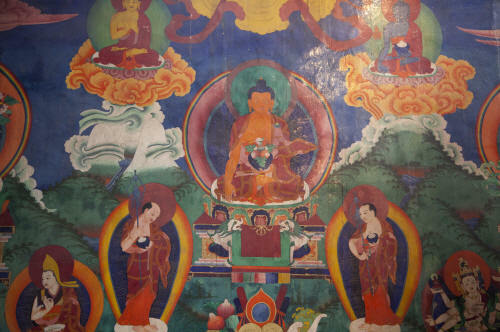 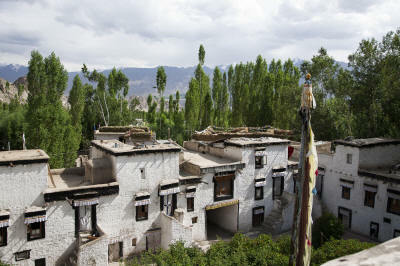 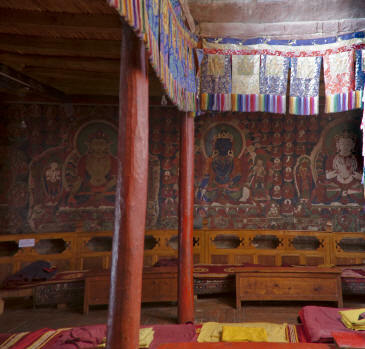 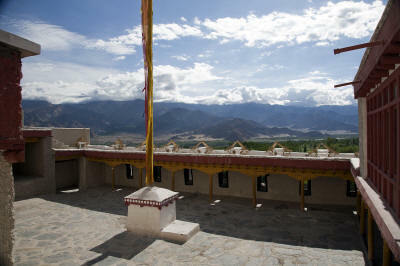 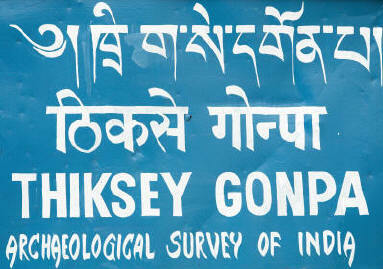 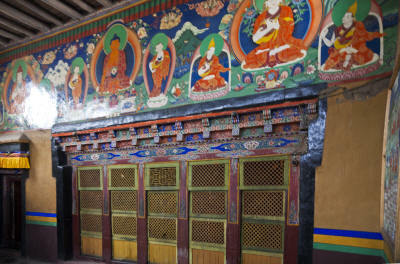 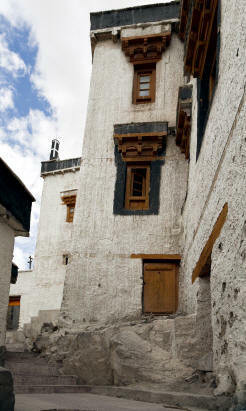 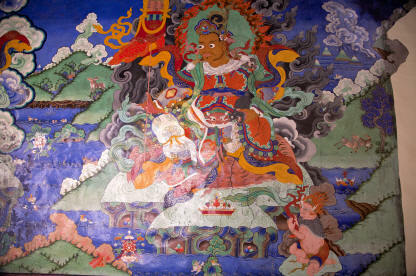 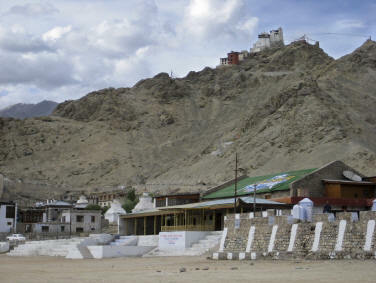 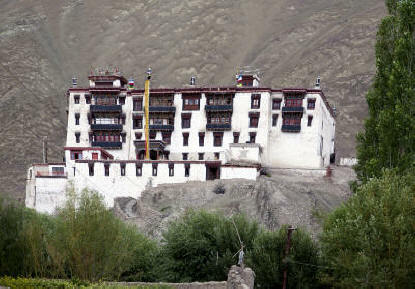 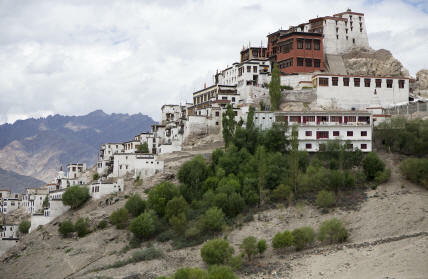 Below is Sankar Monastery which is a modern compound related to Spituk Gompa. 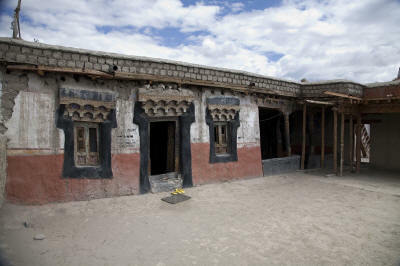 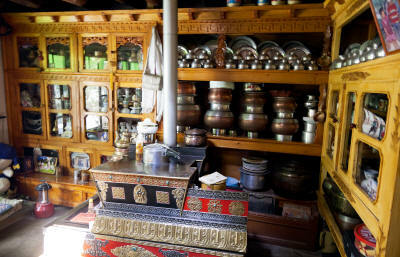 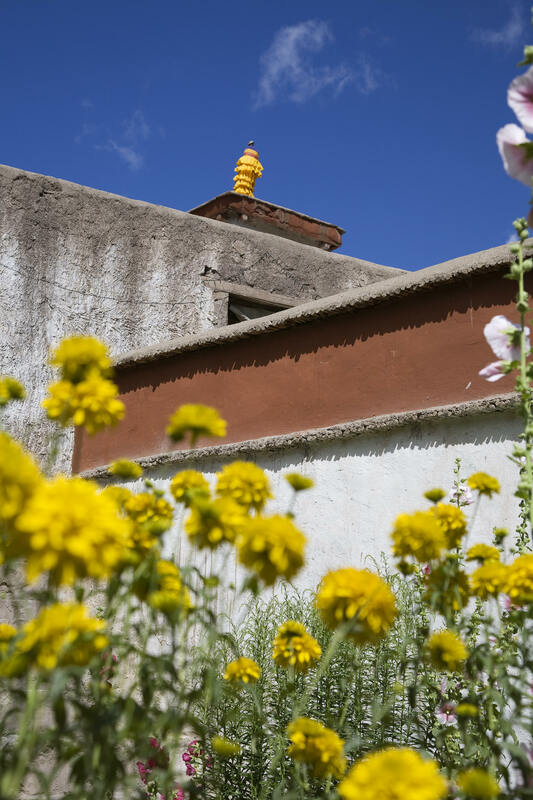 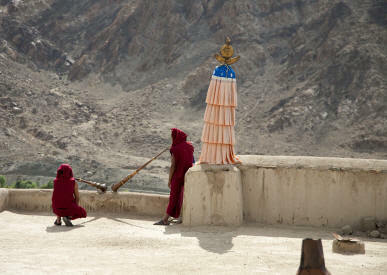 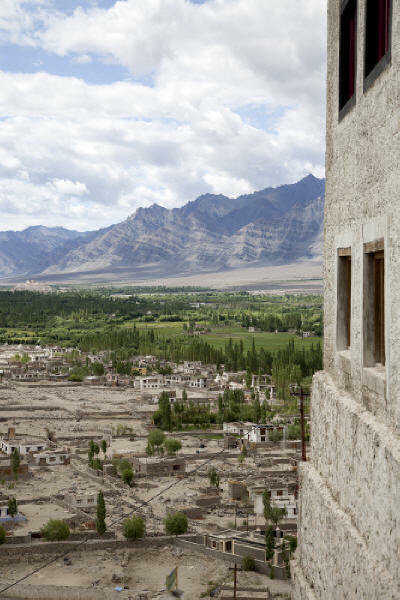 Our first local outing was to the Phyang Monastery, 10 miles west of Leh, situated on a hill in the 16th century and home to ~50 monks of Dregungpa order. 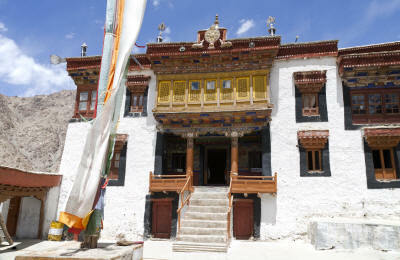 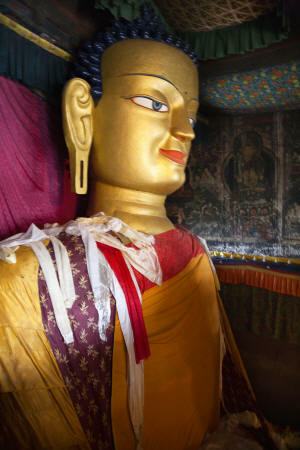 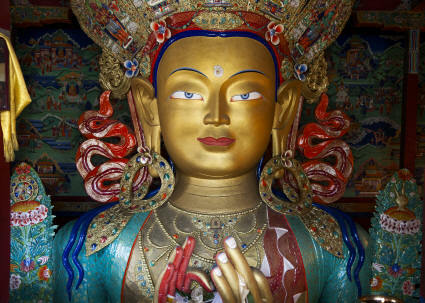 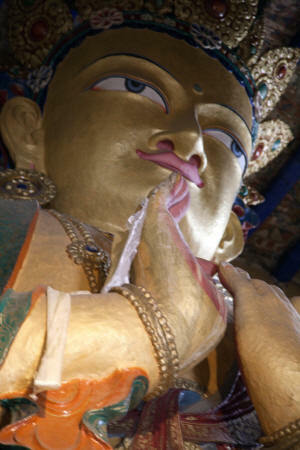 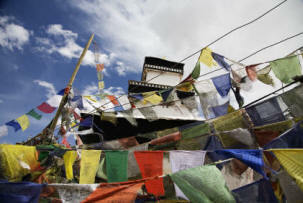 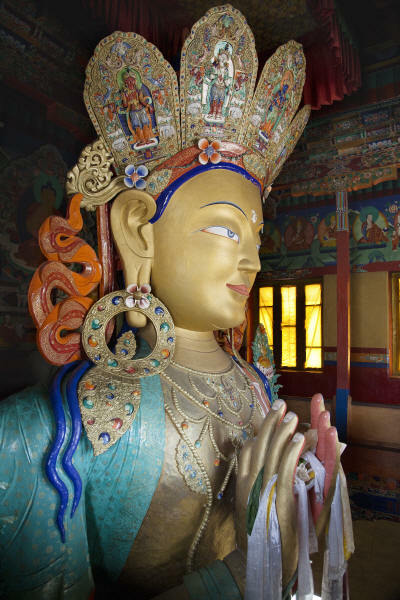 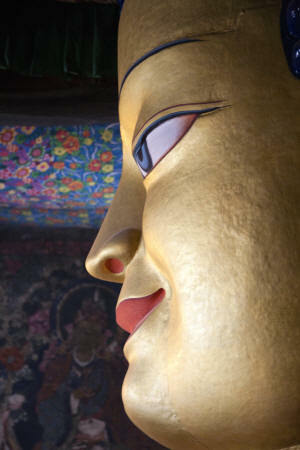 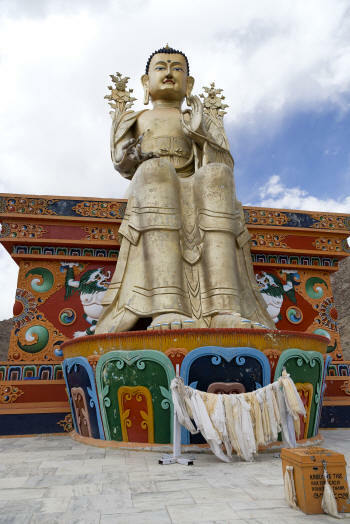 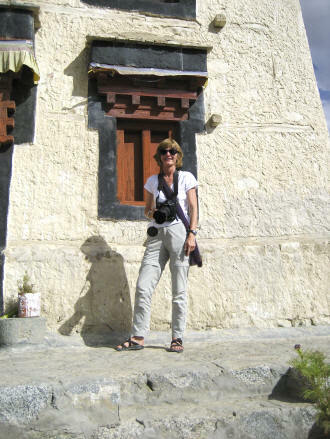 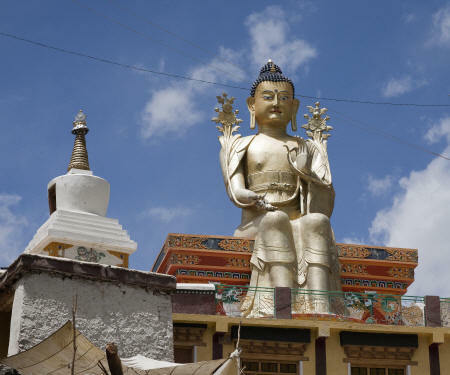 On our return to Leh, we stopped off at the Spituk Gompa. 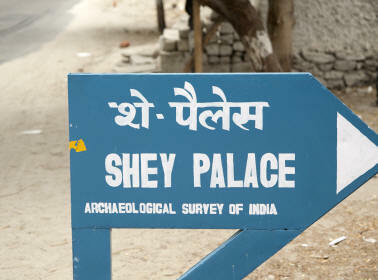 Shey Palace, built in the 17th C, is situated within the ruins of the Shey Fort. 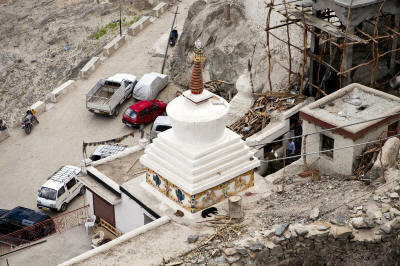 The 7.3 meter copper statute of Lord Buddha reaches 3 stories.